Among the trendy restaurants, hipster watering holes, and mile-high boutiques of Denver, an equally cultured and colorful cowgirl shares her fun fashion sense and eclectic style with lucky visitors who ride into Cry Baby Ranch. Among the trendy restaurants, hipster watering holes, and mile-high boutiques of Denver’s Larimer Square, an equally cultured and colorful cowgirl shares her fun fashion sense and eclectic style with loyal locals and lucky visitors who ride into Cry Baby Ranch. Roxanne Thurman, owner of Cry Baby Ranch boutique. 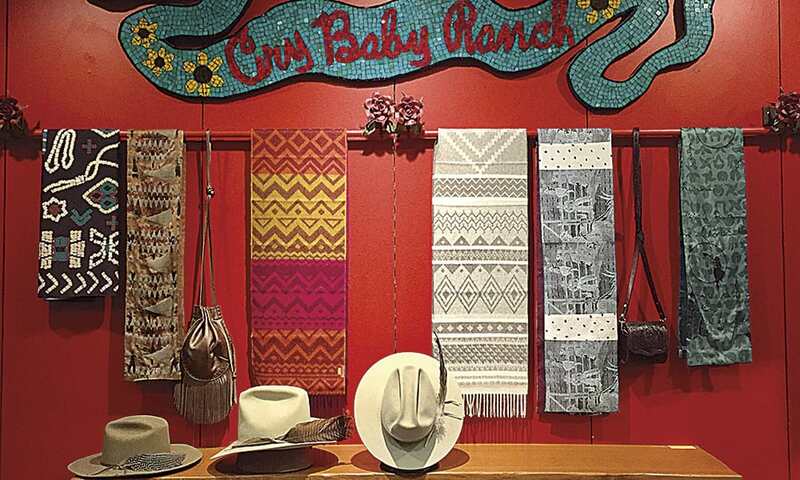 Cry Baby Ranch is a fun and funky Western boutique located at 1421 Larimer St. in Denver’s Larimer Square, the Mile-High City’s oldest and most historic block. 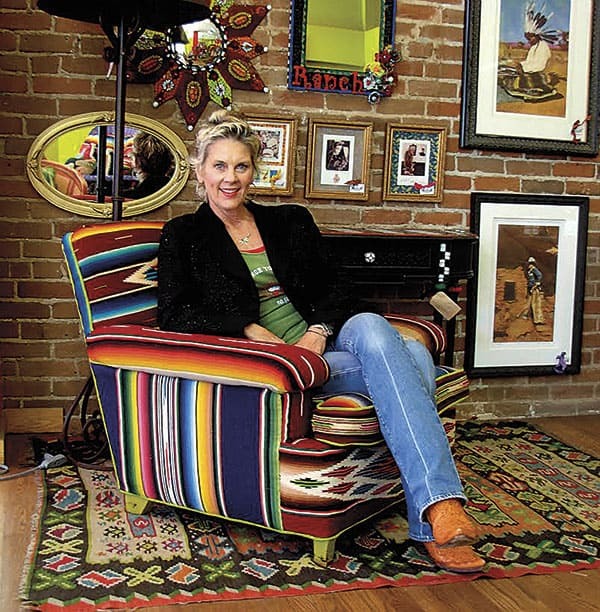 Owner Roxanne Thurman founded the groovy store in 1989. “I didn’t intend to open a retail store; we just sort of stumble-bumbled into it to be perfectly honest,” says Thurman of her road to retail. In the early days, Thurman had a business partner who has since left the retail world. The two of them were collectable dealers during the mid- to late 80s, when there was a renewed interest in the West. They also did visual window displays for retailers, one of whom owned a shoe store in Larimer Square. “We did a display for her during the holiday – sort of an ‘urban cowboy Christmas,’ using all of our own props,” remembers Thurman. The people who owned Larimer Square saw the window and liked it so much that they ultimately offered them temporary retail space for the holiday season. Cry Baby Ranch was born. 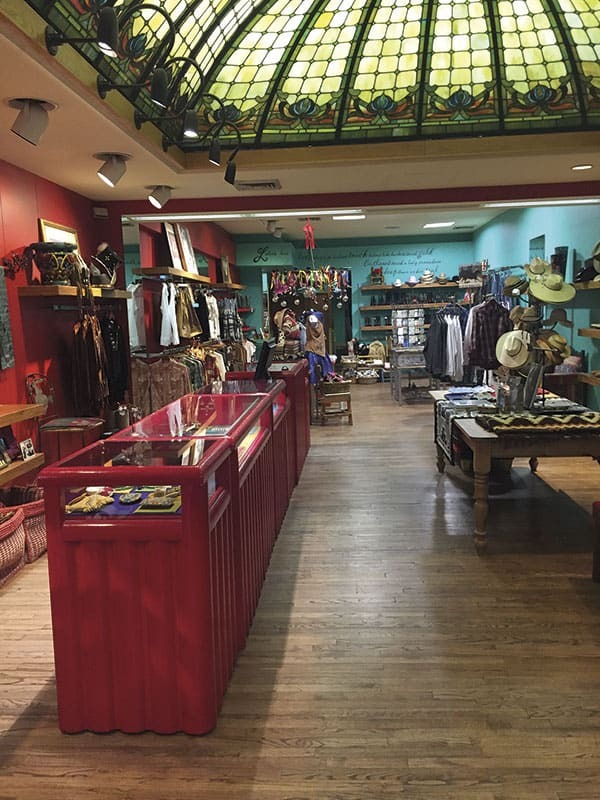 Over the years, the store has evolved from focusing on vintage Western to children’s merchandise (driven largely by Thurman having young kids at the time) to eventually transitioning into the unique, artisan-focused mix of merchandise that Thurman thoughtfully curates for her customers today. Thurman says she calls on her Texas roots, as well as her time living in Mexico, to merchandise her eclectic store. 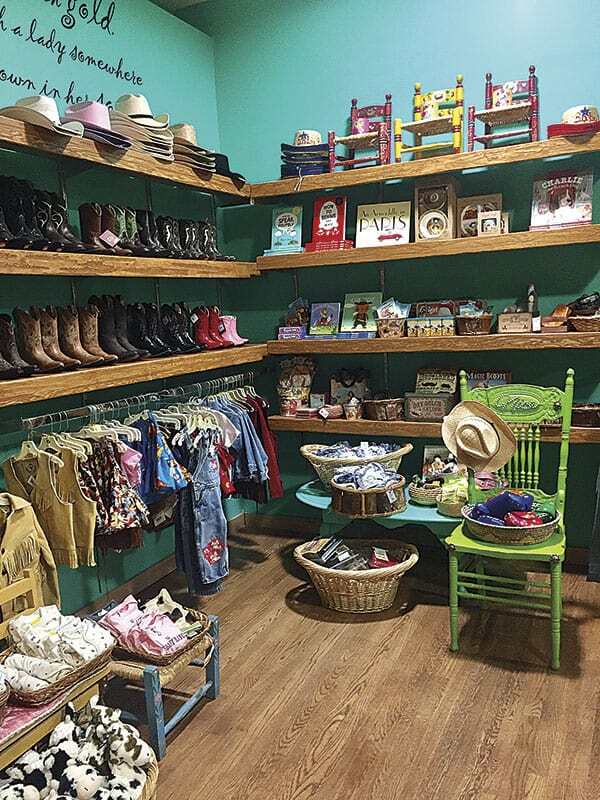 Cry Baby Ranch features everything from boots and books to jewelry, home goods, gift items, accessories, and clothing for women, men and children. “I love Native American jewelry, especially from the 30s, 40s and 50s. That’s related to traveling from West Texas to New Mexico and stopping along the way and having my mother buy bracelets and necklaces and things. It’s all deeply rooted and imprinted,” explains Thurman. Cry Baby Ranch’s most popular brands include Double D Ranch, Tasha Polizzi, Stetson, Pendleton, Cowgirl Justice, Margaret Sullivan, EQ Wear, and Love Tokens, among others. 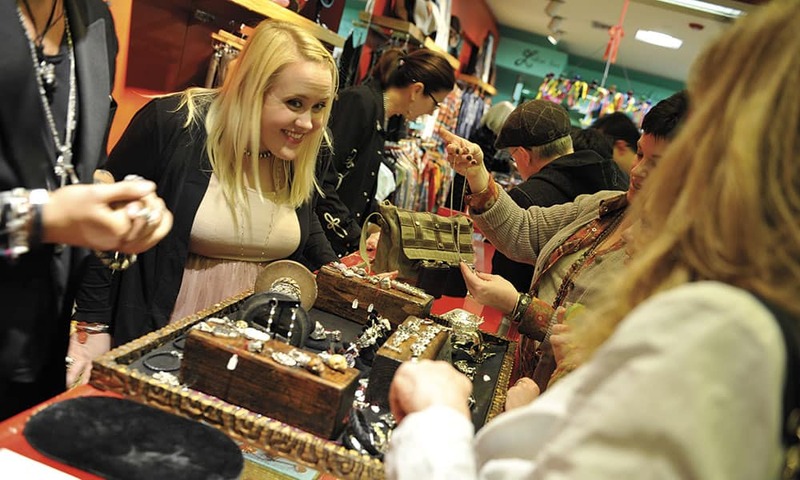 Thurman says she has very loyal customers who have been shopping with her for years, and her interesting store also catches the attention of tourists who are visiting the Denver area. “The people who really appreciate Cry Baby Ranch are the ones who are out in the world, who are exposed to other cultures and who are driven by artisan work,” Thurman says. You can shop at Cry Baby Ranch in-store or online at CryBabyRanch.com. 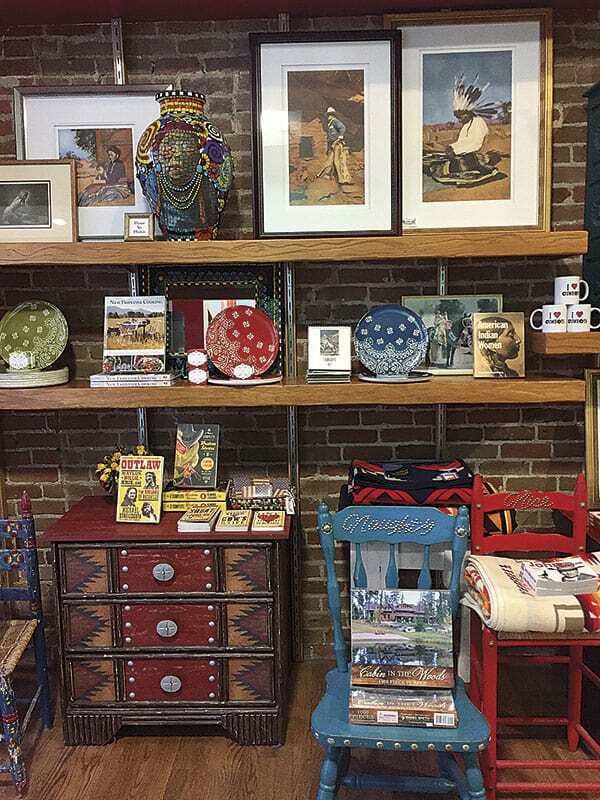 The Cry Baby Ranch store in Denver, Colorado is a colorful blend of western, Native American and Southwestern influences.